I wrote the following for our weekly electronic newsletter. In Luke 24:13-35, two disciples of Jesus are returning from Jerusalem to their hometown of Emmaus, about eight miles away. It’s Easter Sunday. Although some of their fellow disciples told them that they found the tomb of Jesus empty, they don’t know what to make of it. As of yet, alongside most of their fellow disciples, they don’t believe that their Lord has been resurrected. So they head for home, discouraged and confused. Jesus meets them on the road, but “their eyes were kept from recognizing him.” At Jesus’ prompting, they tell him about the events of Good Friday as well as the reports of the empty tomb. Beginning with Moses and all the prophets… in all the Scriptures the things concerning himself. I don’t blame you if these words surprise you. Except for a few scattered verses in Isaiah and Malachi that we hear every Advent or Christmas season, we modern Christians probably don’t think that the Old Testament has much to say about Jesus. After all, we call it the Old Testament because it’s obsolete, right? Needless to say, this was not the attitude of Jesus or the early Church. In fact, the only Bible they had at the time was the Old Testament. When Paul told Timothy that “all Scripture is breathed out by God and profitable for teaching, for reproof, for correction, and for training in righteousness,” he was literally talking about the Old Testament (even as we rightly apply these words to the New Testament as well). From the perspective of Jesus, Paul, the other New Testament writers, and the early Church, the Old Testament, far from being obsolete, was a treasure trove of information about Jesus. I confess, like many of you, I didn’t always see it that way. This Old Testament book was about Christ? Like all the other Old Testament books? I then discovered that until very recently, that’s the way the Church had always read the Old Testament. We modern Christians are the weird ones who often think that the Old Testament has little to say to us. 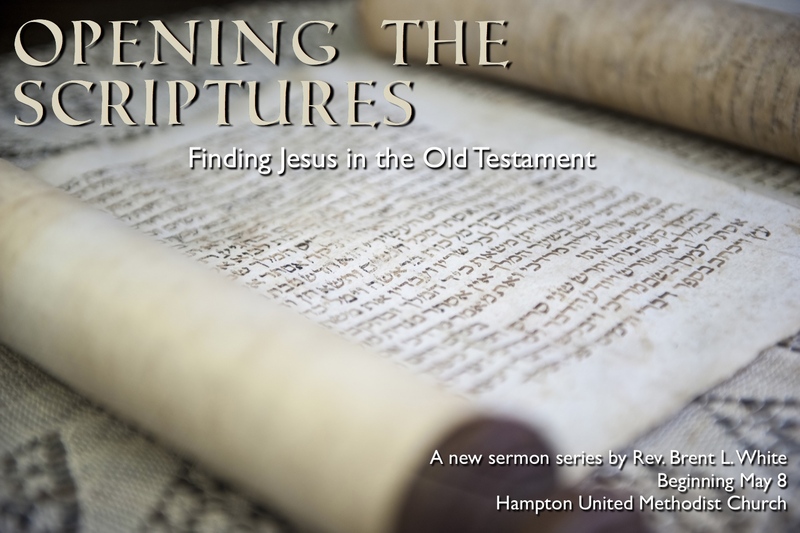 In a new sermon series starting this Sunday, I hope I can instill within you my enthusiasm for seeing Jesus Christ in the Old Testament. We’re going to begin near the beginning, with Genesis 3:1-15. This entry was posted on	May 5, 2016 at 5:02 pm	and is filed under Uncategorized. Yep. Every page of the Bible points to Jesus Christ. What startles me most is Jesus saying: “O foolish ones, and slow of heart to believe all that the prophets have spoken!” So, I guess I am a “fool”! I look forward to being “educated” by you on this subject. I’m not clear on what you are saying Tom. Do you not see Jesus in the Old Testament? Or, are you referring to something else? “All the Scriptures” meant the Old Testament. I don’t mean to be seen as arguing differently. I just look forward to Brent bringing this more to light for me, as Jesus did his disciples (who evidently did not see the matter as so obvious either, until Jesus illuminated them). I agree. That’s why we study the Scriptures and read the great commentaries on them. This guy’s points on the subject are pretty good and he points to commentaries by D.A Carson, Timothy Keller and many others.